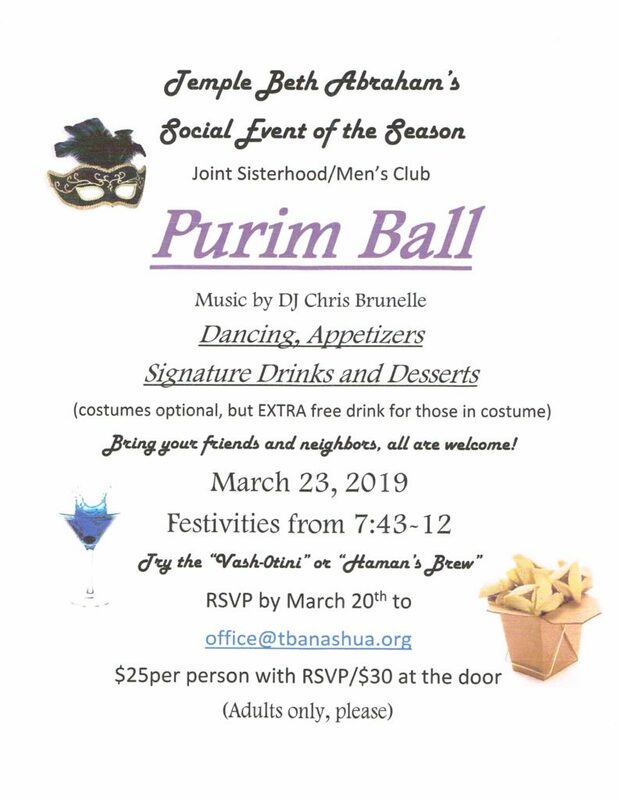 Since 1982 the Southern New Hampshire Jewish Men’s Club has been a social organization for men in the southern New Hampshire Jewish community. The SNHJMC was formed for the purpose of providing a vehicle for members to socialize and have fun! We have positive relationships with Synagogues in the Southern New Hampshire area. Many of our members belong to Temple Beth Abraham in Nashua, Congregation Betenu in Amherst, and Etz Hayim Synagogue in Derry. We do not require our members to have joined any Synagogue in the area as a condition of being a member of the SNHJMC. Do you know what happens on April 15th??!! We aren’t talking about taxes… it’s also the deadline for the Bruce Retchen/Neil Goren fund for kids going to Israel, a summer experience, or even camp. Please see below for more information. We are really short of members on the BoD. We don’t ask for a lot of time, a mostly monthly board meeting usually a week before each event and would hope you could share your creativity and wisdom in helping us craft the programming this year. We want to provide programming for what YOU and your fellow members would like to see. Help us make that vision a reality. Our Kitchen Krew is also looking for help. If you can spare some time before breakfast to help cook or setup, we could use your help. Please consider joining us! For more information, please contact me, David Fox, at president@snhjmc.org. Thank you! Do you have children or grandchildren who will be traveling to Israel as part of a semester abroad or a summer experience? How about local Jewish summer camps? The philanthropic arm of the Southern NH Jewish Men’s Club, the Bruce Retchin/Neil Goren fund, was instituted to provide financial stipends for our community’s youth planning such ventures. All that is required is a letter from your student or camper outlining their plans and the educational benefit of the program or camp they are attending. Please send it to the SNHJMC, 4 Raymond Street, Nashua NH 03064. We ask that we receive your request by April 15th each year for consideration.